“Lighting controls” is a term that is used to describe a variety of different things, from a simple dimmer switch that can brighten or dim a single light fitting, to a fully integrated lighting control system that ensures the lighting within a building responds, seemingly intuitively, to the needs of those utilising the space. Intelligent Environments Limited are specialists in all types of lighting controls, from the most simple solution to the most complex. The lighting controls required are determined by the needs of those seeking a solution. In some cases a simple sensor or sensors can be supplied that when wired into your existing lighting circuits, will ensure lighting is turned off when areas or rooms are unoccupied, or that turn on artificial lighting only when sufficient levels of natural light are unavailable. 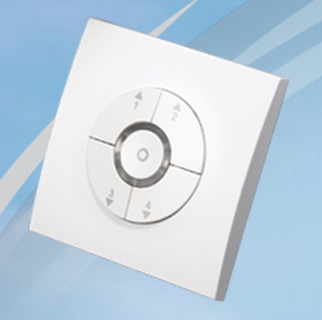 Direct dimming straight from the sensor can provide simple energy saving lighting controls for occupancy detection and daylight harvesting, with manual overrides. 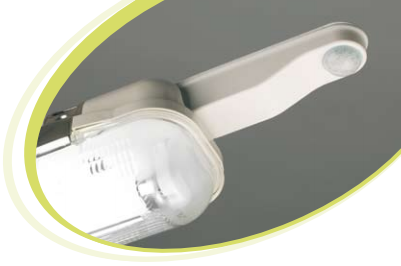 Existing light fittings can often be turned into an intelligent lighting system, simply by the addition of sensors designed to be mounted as a retrofit solution. If more complex lighting controls are required, a wireless lighting control system may be the preferred solution. It has become a popular choice for existing buildings as there is minimal disruption involved and installation time is greatly reduced, as against the upheaval when installing a conventional cabled system. 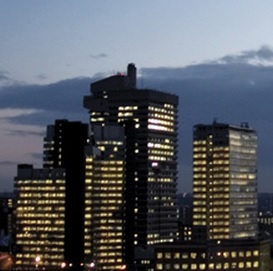 With wireless lighting controls it is easy to meet building regulations and today’s demands for greater energy efficiency, but there is no need to disturb the fabric of the existing building. This makes it very suitable for almost every retrofit requirement for lighting controls, and ideal for historic or listed buildings. When a new commercial building is to be constructed, it is common for some form of lighting controls to be included in the design. Possibly for a full lighting control system, or perhaps just the programming of the light fittings to allow for automated control. Intelligent Environments are specialists in all things DALI, and also in controlling other digital + analogue systems such as DSI and 1-10V. We can assist with the design, with the programming, and the commissioning of the lighting controls, according to your requirements. We have assisted with the design, supply and commissioning of lighting controls for many different projects, including providing energy saving lighting controls for private homes, for schools, offices, warehouses, hotels, restaurants and retail stores. If you have any project, large or small, for which lighting controls may be required – do give us a call. We’re always happy to have a chat, and talk through the various options that may meet your needs.